Dr. Patricia Joy Johnson Brown, School of Professional and Continuing Studies Senior Associate Dean, will retire from the University of Richmond on June 30, 2018, after nearly 23 years of service. Brown joined the School of Continuing Studies (as the school was named then) in July 1995. Over the years, Pat constantly sought ways to support our students, to make the University accessible to people in the community and create exciting courses and programs for our students. During her tenure in SPCS, Brown served as a chief architect of the School as we know it today, researching, developing and nurturing credit and degree programs as well as personal enrichment courses, which became known as Think Again. Under her leadership, the SPCS secured a $1 million endowment from The Bernard Osher Foundation to establish what is now a flagship program for active adults aged 50 or better, the Osher Lifelong Learning Institute at the University of Richmond, which has grown to more than 1,000 members. Seeing the value of the arts for students’ development in grades K-12, Brown was key in our assuming responsibility for Partners in the Arts and securing a gift which allowed us to establish the Joan Oates Institute, a summer arts integration program for teachers. Brown was also instrumental in the development and growth of the Institute on Philanthropy, a leading provider of training and development for nonprofit organizations. Brown has represented SPCS on a number of campus-wide committees and has been a key member of numerous search committees at the School and unit level. It was Brown’s voice, among others, advocating for nontraditional students that has positioned SPCS so well within the University community and across the broader Richmond community. She has been recognized by various campus organizations for her professional and community service, receiving the Bonner Scholar Story Award for Community Service and being inducted into the Omicron Delta Kappa National Leadership Honor Society’s Epsilon Circle. Brown has been active in the profession of adult and continuing education. She has dedicated her life to the field of lifelong education. She’s served as commissioner of the Commission of Leadership and Management of the University Professional and Continuing Education Association (UPCEA), and she’s also served the UPCEA South region on its awards committee, as a member-at-large, on its nominations committee, on its student awards committee, on its program planning committee, and more. Brown was also selected for Harvard University’s Institute on Management and Leadership. Brown has also been a dedicated citizen volunteer in her community, a role model for the students in the past and believer in the “learning by doing” philosophy. She was founder of the Enrichmond Foundation that promotes citizen involvement, education and fundraising for the City of Richmond parks system. She has traveled as an educator and volunteer to Santa Catarina, Brazil, numerous times through Virginia Partners of the Americas to work with children, teachers and administrators on the empowerment of people with disabilities. 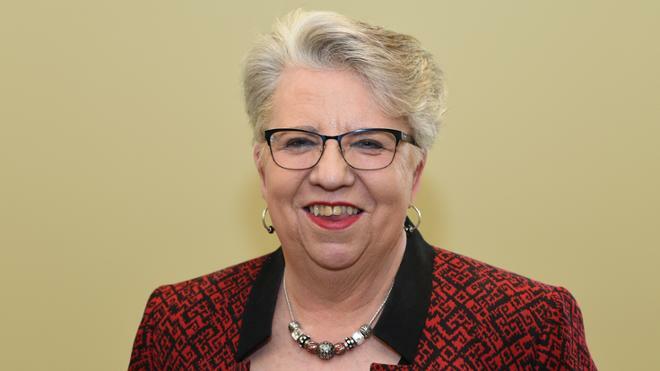 Pat served as president of Partners from 1994-1997 and has been appointed by three governors of Virginia to serve multiple terms on the Brown vs. Board of Education Scholarship Award Commission. Brown has also received numerous awards for her service including the Mary Ellen Cox Memorial Award for Advocacy from Senior Connections, The Capital Area Agency on Aging, the Life-Changer Service Award and the Twenty Years of Service Award from Partners of the Americas and ARC of Richmond’s Outstanding Volunteer Service Award.